Hotel Aquila is right in the centre of Cortina d'Ampezzo, in the famous pedestrian precinct of Corso Italia. 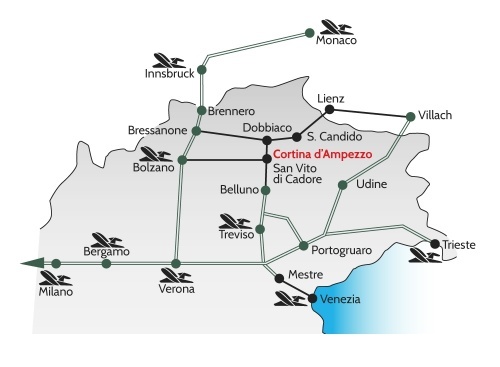 Cortina d’Ampezzo can be reached by car from the A27 (Venice-Belluno), and the A22 (Modena-Verona-Bressanone-Innsbruck) motorways. 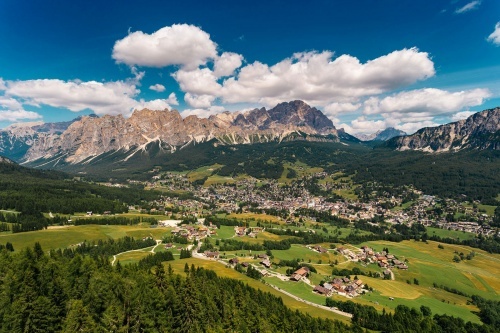 Cortina has excellent airport and rail connections with all the major northern Italian cities, using comfortable buses or a private transfer service.